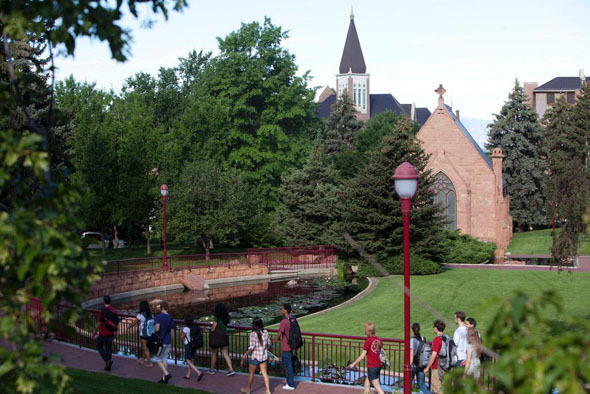 A rambling, 125-acre arboretum that celebrates timeless trees honors the man credited with transforming the University of Denver into a modern center of learning. Chester M. Alter, DU’s 12th chancellor between 1953 and 1967, oversaw groundbreaking advances in the college’s academics. At the same time, Alter spearheaded improvements to the college’s landscape, particularly with tree planting. The arboretum is home to nine state champion trees (the largest of their kind in Colorado): cedar of Lebanon, two crabapple, eastern wahoo, horse chestnut, shantung maple, trident maple, weeping giant sequoia and yellow buckeye. The arboretum is free and open to the public 365 days a year. Visitors may tour on their own (an information kiosk is on the southwest corner of the Mary Reed building) or reserve a spot on scheduled tours (see the website). Groups can also schedule a special tour by calling in advance.